A galvanized metal roofing system is resistant to rust. Unlike thinner options, 24- and 26-gauge products are 50% stronger and more durable than standard panels. Being steel, it’s non-combustible, helping to protect your home during a fire. The seams of metal panels are raised, showing pronounced ridges. They feature concealed fasteners, making them impervious to the effects of strong winds. With proper installation, expect them to remain in place no matter how hard mother nature tries to blow them off. Any roofing installation expert would attest that standing seam metal systems are suitable for flat-roofed properties. Designed to resist leakage under hydrostatic pressure, they can prevent interior damage due to prolonged standing water. Whether your roof lacks a steep pitch or has a combination of low and high slopes, a standing seam metal system is an excellent choice. Metal is synonymous with enhanced energy efficiency. It can deflect most of the sun’s energy that hits it, and re-remits the majority of the solar heat it absorbs. It helps keep the attic underneath it cool. Any residential roof installation specialists would recommend metal with standing seams to accentuate the aesthetic of modern architecture. It also lends itself to transitional home styles, creating an eclectic curb appeal. 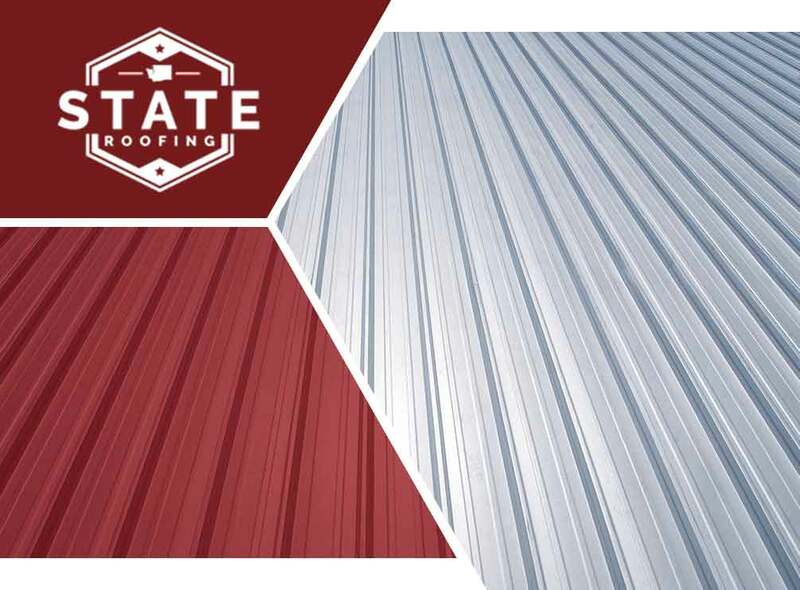 When coated with either Kynar 500 or SMP finish, the standing seam metal roof surface becomes immune to fading, splitting, cracking, breaking and burning. As a result, you can rest assured that your new roofing system can grow old with your home gracefully. Learn about the other benefits of metal roofs with standing seams, and determine whether one is right for your unique needs. Call State Roofing at (360) 205-3100, or fill out this form, to talk about your roofing project. We serve homeowners in Seattle, WA and the surrounding area.